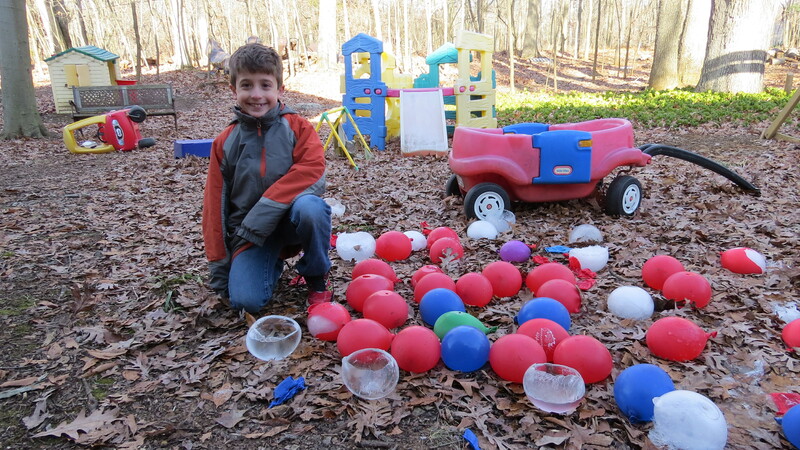 If you are looking for some cold weather fun, you can try this fun activity. Last night my kids filled a bunch of balloons with water and left them in the front yard to freeze overnight. Fill your balloons and leave them out to freeze. 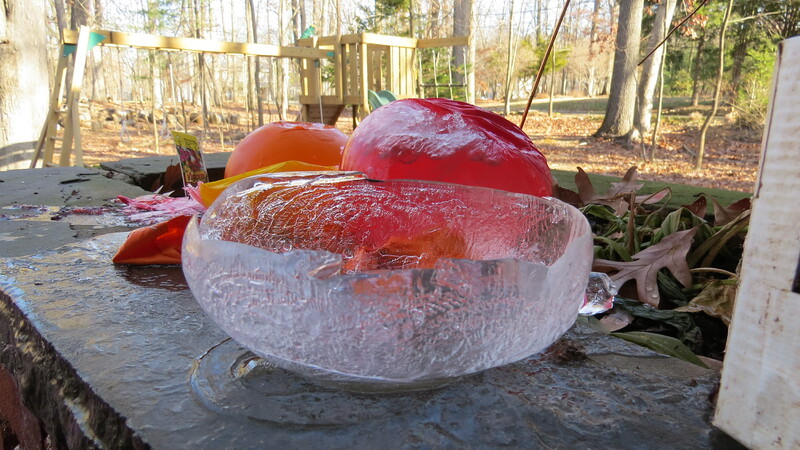 It’s not cold enough yet for them to freeze all the way through, but we got some really interesting bowls and domes. One snip with scissors and the balloons come off. Turn the balloon over first and it is filled with water. As it gets colder, the balloons will probably freeze all the way through overnight. So you may have to catch the weather just right to get these beauties.